Richard Ricardo has an international reputation for fine art antique upholstery. After an eight-year apprenticeship in fine art upholstery with a prestigious London firm, he set up his own business, Richard Ricardo Upholstery, in 1985. Today he oversees a highly skilled team of craftsmen from his workshop in the Cotswolds. 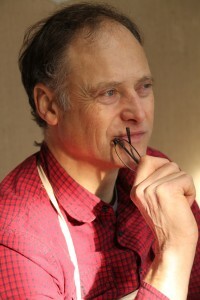 He particularly enjoys restoring fine art antique furniture from 1600 to the mid-Georgian era (1730–1760) and has amassed considerable experience in period and contemporary pieces. He has built a worldwide reputation for high-quality upholstery among dealers, interior designers and private clients.